Dominican Republic - 1 person likes this. All-inclusive resorts in Puerto Plata and elsewhere on this lush Caribbean island with 1000 miles of coastline put the Dominican Republic on the map for travelers seeking affordable family and couples vacations from winter weather further north. But what you may not know is that you can also find experiences that rival deluxe vacations anywhere in the Caribbean. Save or splurge, here's how to add indulgence to your winter holiday in the islands this year. In the Dominican Republic, you can stay in unmatched accommodations that run the gamut from world-renowned boutique hotels to opulent resorts. Punta Cana in the east in particular is home to luxury properties ideal for intimate romantic travel, families and multi-generation travel, and large wedding, vow renewal, or reunion groups, even business conferences. In addition to stunning beaches and multiple pools, many of these properties offer whirlpools, saunas, and extended wellness programs as well as traditional spa and aesthetic treatments. Take sunset yoga, healthy cooking, and fitness programs. And for complete privacy, book a private villa for a secluded, A-list holiday experience. Dominican Republic is a golfer’s dream, with over two dozen meticulously manicured courses set against the backdrop of the country’s most stunning scenery and shoreline. 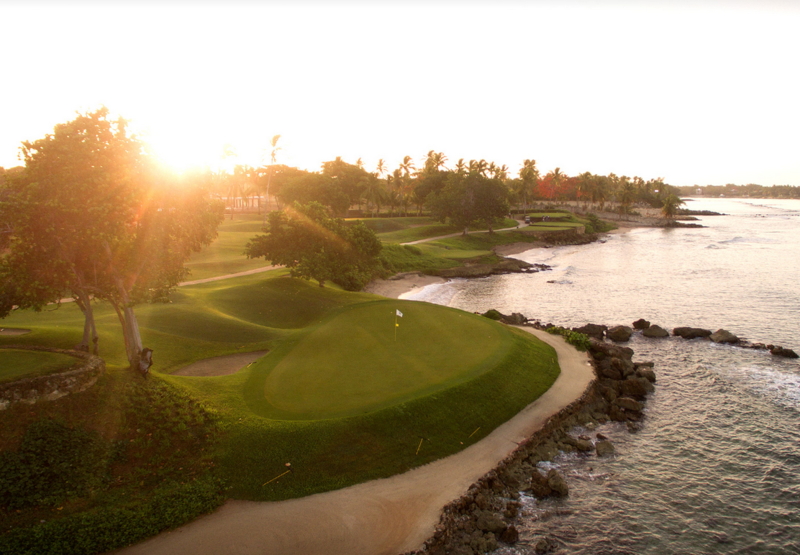 Pete Dye’s seaside “Teeth of the Dog” (below) at the storied Casa de Campo resort put the Dominican Republic on the world golfer’s map. Sports fishermen flock to Dominican Republic’s coasts in pursuit of the blue marlin, one of the largest fish in the world. 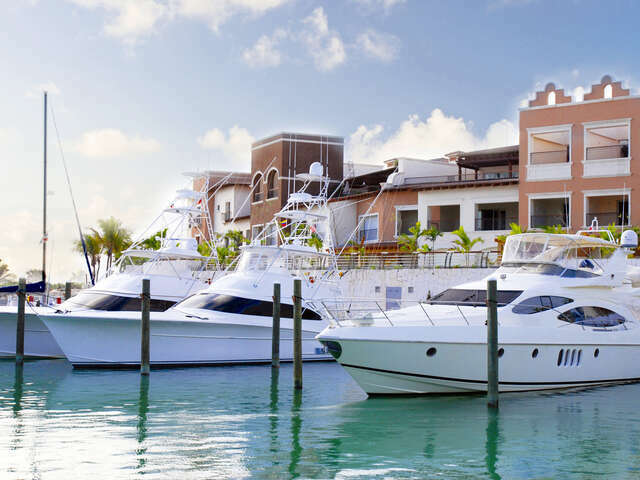 Hit the water for a tournament or on a charter boat excursion to fish blue marlin, white marlins, mahi-mahi, wahoo, swordfish and tuna in the Caribbean Sea; while blue marlin, wahoo and barracudas can be found in the Atlantic waters off the North Coast. Dominican Republic is part of the international circuit of the 'Sport of Kings', with polo facilities available at some of the country’s most exclusive resorts in La Romana, Punta Cana and Santo Domingo. Hire horses for your own tournaments, or head to a polo match to enjoy the action as a spectator for a one-of-a-kind vacation experience. Fashionistas and shopping enthusiasts will be on cloud nine in Dominican Republic, where it’s easy to find couture clothing, unique handmade crafts and stunning precious jewelry all within close proximity. But we love local best. 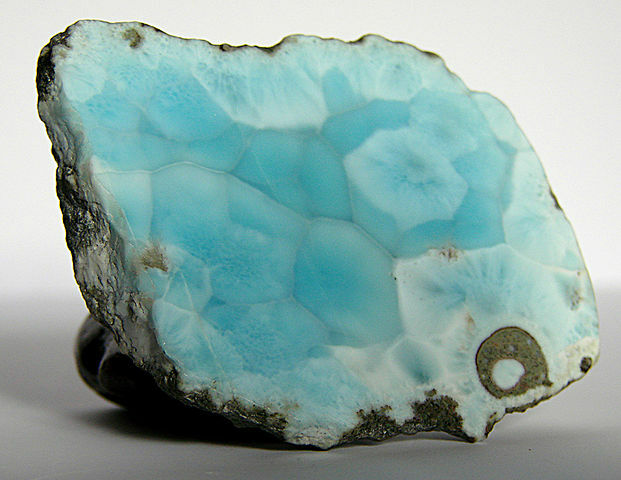 Indigenous amber or glassy blue larimar (above) jewelry makes the perfect souvenir, and a piece of local larimar or amber jewelry will definitely start a conversation when your friends at home see it. Make sure to take tours of local coffee, rum, cigar or jewelry manufactures for an opportunity to meet Makers, learn about local culture, and pick up authentic souvenirs. Did you know the Dominican Republic was named the Gastronomic Culture Capital of the Caribbean? The island is one of the few in the Caribbean with extensive, diverse and abundant local agriculture. Ingredients are fresh and inspiring. Try the fusion cuisine of innovative chefs who have taken classic international recipes and given them a Dominican twist with local ingredients. After dinner, find a terrace with a view or a club outside your hotel, especially in the capital of Santo Domingo, where international performers and DJ's make frequent appearances and you can dance the night away to local merengue music. Wine cellars and cigar clubs also offer exclusive tastings sure to please both connoisseurs and novice cigar aficionados and sommeliers. If you're looking for luxury, maybe it's time to re-define your Dominican Republic vacation experience.